The rex blocking pattern over Europe continues. The strong ridge over the Azores persists, while the Scandinavian ridge weakens somewhat and moves westward. 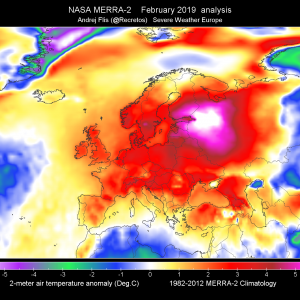 A weak ridge persists over the far eastern Europe. Multiple shallow lows are embeded in the low geopotential area across central Europe with the low over the E Baltic deepening significantly. A shortwave trough moves eastward across the Ionian sea, Greece and into the Aegean, causing significant severe weather potential. 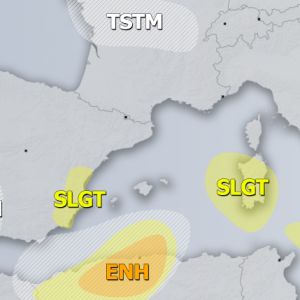 A MDT risk area has been issued for S Greece and CNTRL Aegean sea for large to very large hail, excessive precipitation, severe wind gusts and tornadoes. 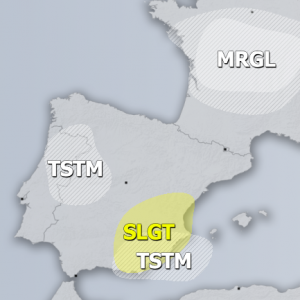 A SLGT risk area has been issued for the surrounding area for very large hail, excessive precipitation, severe wind gusts and to a lesser extent tornadoes. 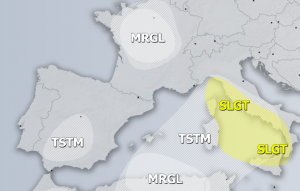 A SLGT risk area has been issued for part of N-CNTRL Turkey for large hail and excessive precipitation. A SLGT risk area has been issued for extreme SE Belarus, extreme N Ukraine and NW Russia for marginally large hail and a few tornadoes.